We have a new facility in our area aiming to improve the education of our youth. Please find more information on Peak Child Salt River Pre-School below. South Africa will experience its second annual International Public Art Festival (IPAF), a 9-day festival to be held from 10 to 19 February 2018, in the community of Salt River. This second festival promises to yet again bring together an eclectic mix of artists from different continents, in one space for nine days, to paint beautiful, large murals for the public to observe and engage with the local and international artists. 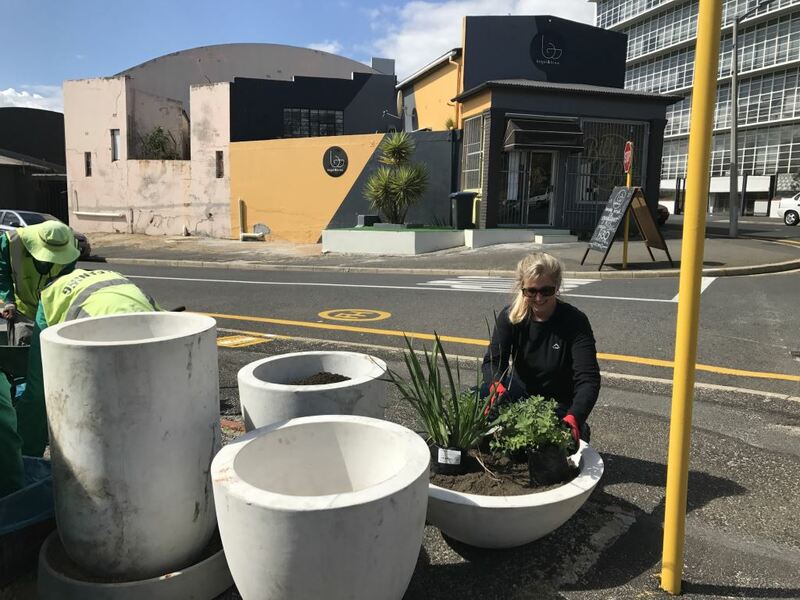 Each artist will be given a wall space in Salt River as they interpret this year’s theme of “Nature Doesn’t Need Us: We Need Nature.” Between 2017 and 2018, 80 murals would have been painted in Salt River. The festival, is just one of BAZ-ART’s mission to use art as a fun outlet for social change, one community at a time and draw art lovers out into the streets. 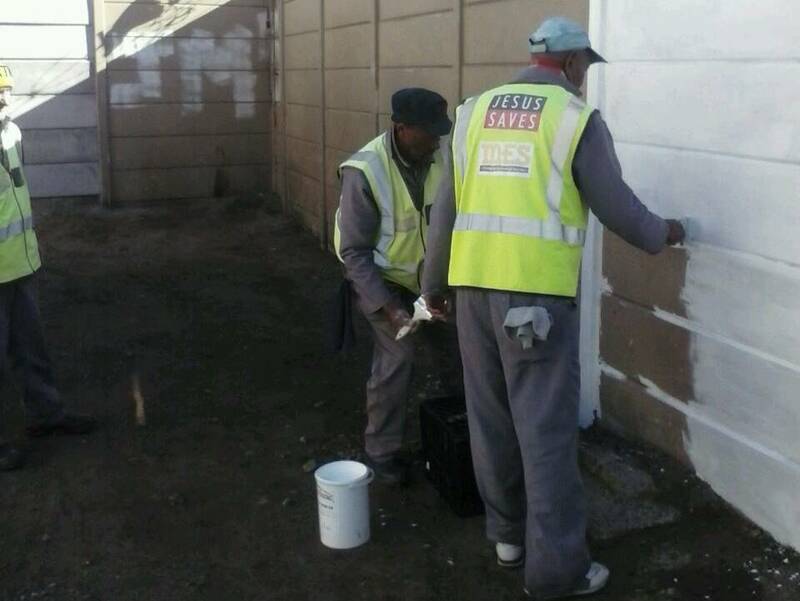 Attendance is free, but private guided tours by local certified tour guides and spray paint workshop hosted by our renowned SA artists can be bought from Webticket. 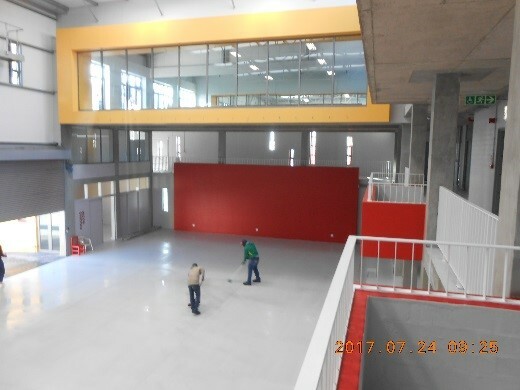 This year Baz-Art is partnering with IPAF Mexico and IPAF Canada. Thanks to the strong partnership with the respective embassies and the city of Cape Town, IPAF 2018 will see artists from a variety of genres and places coming from as far as Flanders, France, Ukraine, Finland, alongside a dozen local artists from South Africa. 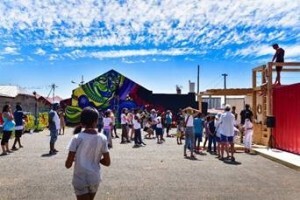 Asked about why Baz-Art brought this annual event to Cape Town, organizer Alexandre Tilmans said, “Public festivals act as a creative vessel to enhance artists and make the communities stand strong together. This festival showcases the rich history, creativity, skills, diversity and style of South Africa’s public artists, as a result, we act as a platform for painting murals and billboards providing commissioned work to South African artists at a local and international level.” concludes Alexandre. The full artist line up can be consulted on Baz-Art and IPAF websites. The International Public Art Festival in Salt River 2018 falls within the art month in Cape Town, with events such as the Cape Town Art Fair and That Art Fair, the week promises to explore various art forms, for a completely explosive experience in art immersion. Tickets to the SPRAY PAINT workshops and GUIDED TOURS will be on sale from Webticket; keep an eye on Baz-Art’s Facebook page for updates. 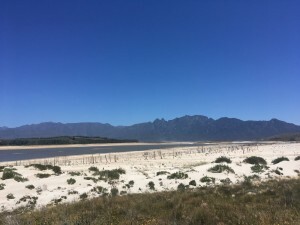 During a recent speech delivered at the Atlantis Aquifer, Cape Town Mayor Patricia de Lille thanked Capetonians who had been making efforts to cut their water usage, saying that about half of water users had restricted their daily usage to 87 litres per day. But added that this was not enough. “We need each and every Capetonian and business on board as a partner on this journey,” she said. 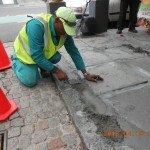 She said the City was doing everything in its power to ensure additional supply, including finding and hiring the country’s best team of experts who were working 80-hour weeks with the metro to ensure that additional water could be brought ‘online’. The Atlantis plant was one of several sites for alternative water sources which form part of the ‘Water Resilience Plan’. 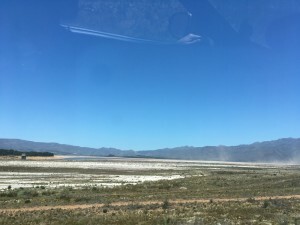 The City of Cape Town had recently refurbished many of the boreholes around this West Coast area to increase the production of this plant. She pointed out that these boreholes formed a part of the City’s unique Artificially Recharged Aquifer System and said a lot of work had gone into ensuring an increase in the volume of water from this aquifer system. 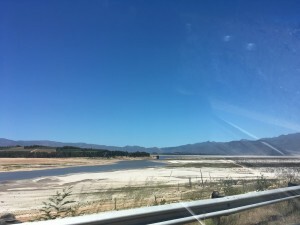 The water is serving homes and industrial businesses in Atlantis, Mamre and Pella on the outskirts of the West Coast, which is quite a vast area. “So the additional capacity will be welcomed,” the Mayor said. She added that she had made it clear when the site of a new desalination plant with the V&A Waterfront had been announced: “we have a plan and we will supply water, but we need Team Cape Town to assist us”. 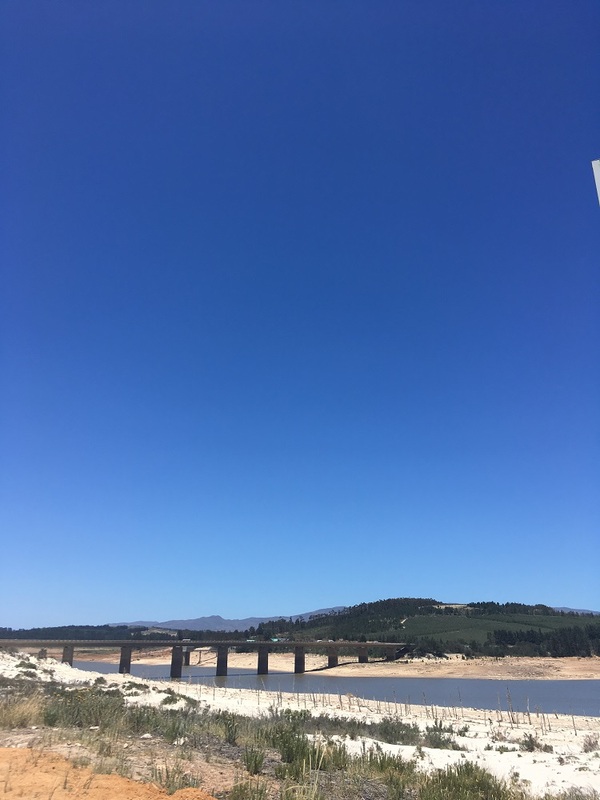 In the meantime, the City of Cape Town announced that Level 6 water restrictions will be implemented from 1 January 2018, which means that households using more than 10,500 litres per month could face fines and penalties. 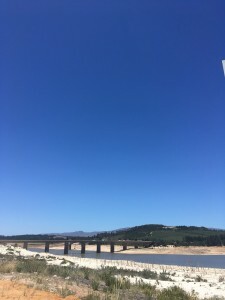 A proposal for a drought charge of between R45 and R2 800, depending on the value of the property, has also been tabled. The Zip Zap Circus Academy now has a new address in Salt River. The two founders of the academy, Brent van Rensburg and Laurence Estève, officially opened their permanent premises with its striking building on Shannon Street a few months ago. There is much reason to believe that this new kid on the block has certainly been the talk of the town and will continue to be! 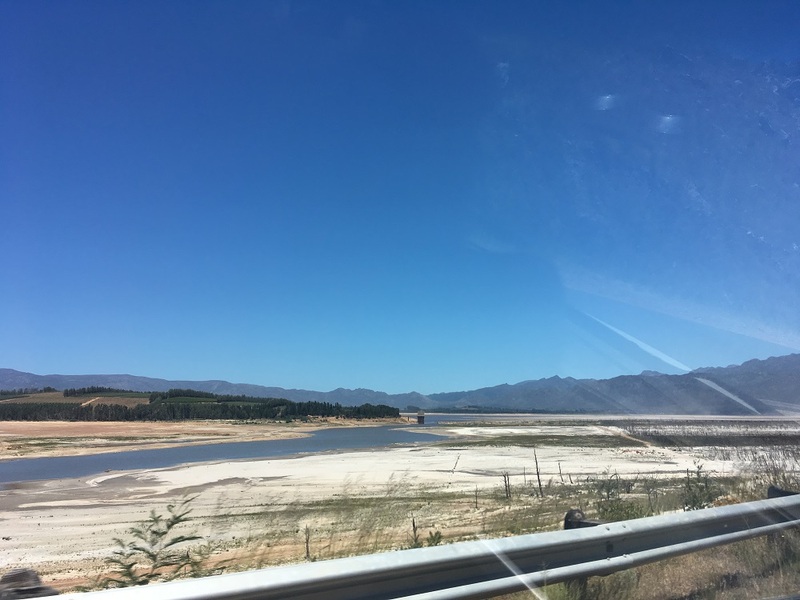 The academy was moved from its former venue in Founders Garden at Artscape on the foreshore to Salt River, where it is believed that a greater capacity will be accommodated, allowing for the growing outreach and youth programmes. Zip Zap Circus was founded in Cape Town in 1992 to inspire young people and help to build a new diverse culture of peaceful coexistence in those troubled times in South Africa. Work is conducted in varied communities with children and the aim is to develop a need for a “dare to dream” mindset, whilst fostering children to achieve the impossible. 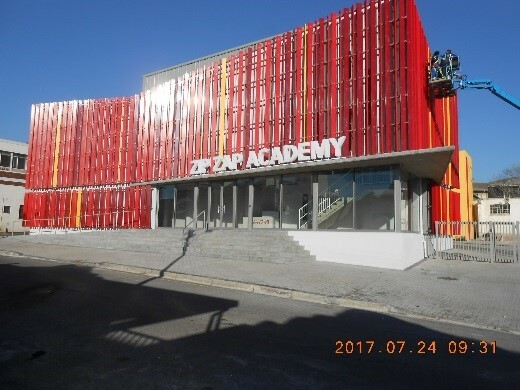 With the new building at 6 Shannon Street, Zip Zap Circus Academy will be able to enhance the programmes for the kids by awarding them the opportunity to participate in a state of the art environment. It is easy to foresee that before long the place will be a like a beehive, filled with young energetic people running up and down shaping themselves for the future. Apparently, the dome on the foreshore will continue to be used for performances, to conduct workshops, and to train professional performers. It will also available for hire for corporate functions. As initially set out in the business plan of the SRBID, the work of the SRBID includes urban beautification. 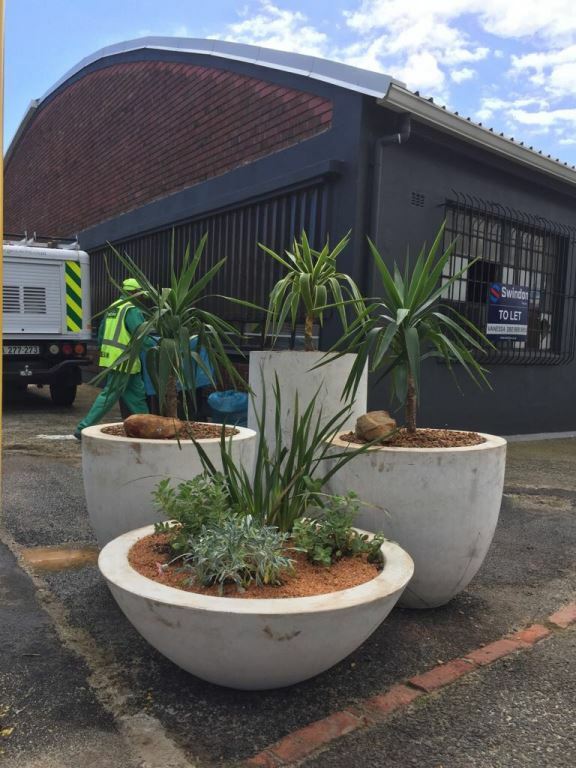 After initially focusing on crime and grime the SRBID reached a stage where some of the urban beautification projects could be launched. 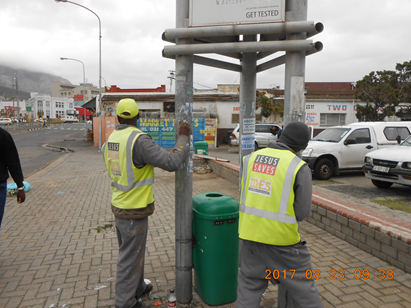 Many of the lamp posts and street sign posts in Salt River had been very old and had either become rusted or had simply not received a coat of paint for far too long – until a team from the GROW Job and Life Rehabilitation Programme, employed by the Salt River CID, got stuck in and started introducing the much needed cosmetic touch-up operations. GROW (‘God Restores Our World’) is the job rehabilitation programme of MES (Mould, Empower, Serve), a country-wide organisation which in turn has the vision ‘To change the heart of the city’ and the mission ‘To empower people holistically to live independent, sustainable and meaningful lives. According to the MES website, the GROW Job and Life Rehabilitation Programme creates shift opportunities where cash is earned for work done, whilst being part of a coaching and developmental programme. It provides the homeless and unemployed community an alternative to aggressive begging and petty crime. Participants in the programme are enabled by earning an honest income in cash, to restore their dignity, buy their meals from the MES canteen, pay for overnight shelter accommodation, apply for ID’s and even save. In turn, GROW teaches participants to be diligent and disciplined, as well as empowering them with the skills to seek employment. 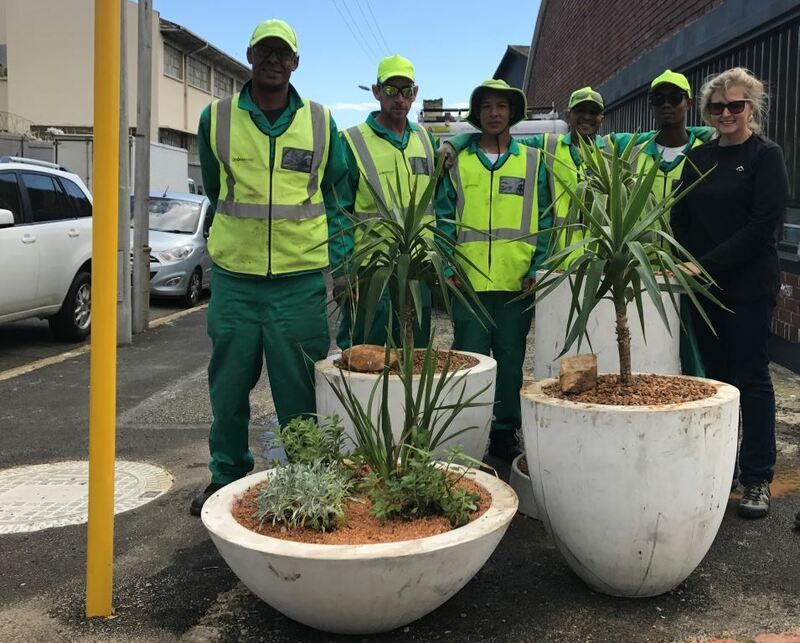 The GROW programme is primarily supported through the occupational services provided to clients such as the respective CID’s. 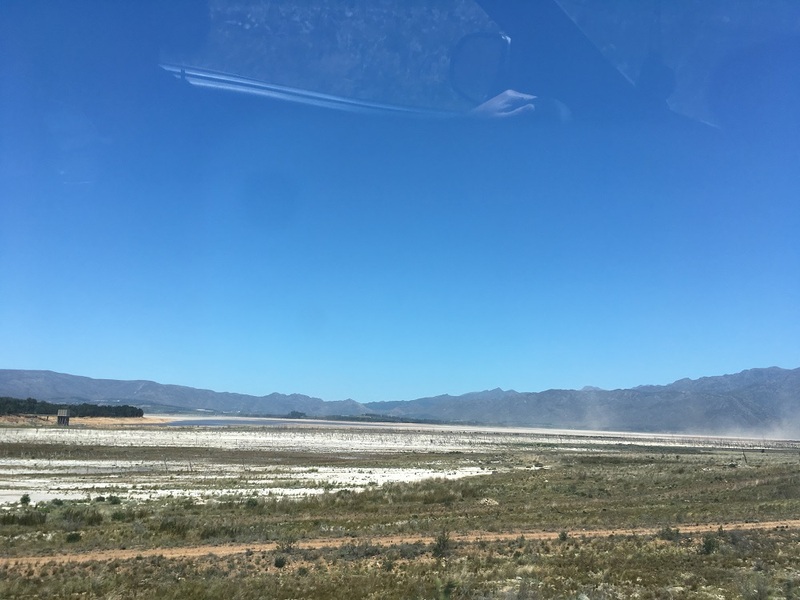 Cape Town is currently experiencing one of worst and longest droughts and this would ordinarily place a halt to all beautification that include landscaping and greening initiatives. However, Management company Geocentric decided to continue with beautification through the use of “potted gardens” rather than traditional landscaping work. By grouping a number of these large planters together the impression of a potted garden was created. These pots are easy to maintain and even easier to keep watered – the contained environment makes it easy to keep the plants green with limited water resources. Combining this with some hardy plants a beautiful green spot can be created. All members of the Salt River Business Improvement District NPC and all property owners of property situated inside the Salt River Business Improvement District SRA are invited to attend the Annual General Meetings to be held on 23 October 2017 at 16:00 at the Conference Venue, Double Tree by Hilton Cape Town, Upper East Side, 31 Brickfield Road, Woodstock where the following items will be discussed. Please confirm your attendance / non-attendance by email to info@srbid.co.za. Resolutions presented at the AGM can only be voted on by bona fide members of the Salt River Business Improvement District NPC. This membership is available free of charge to all owners of commercial and industrial property within the Salt River Business Improvement District SRA, but they must be registered before 9 October 2017. HOW DID BAZ-ART COME TO CREATE SOUTH AFRICA’S FIRST INTERNATIONAL PUBLIC ART FESTIVAL? All members of the Salt River Business Improvement District NPC and all property owners of property situated inside the Salt River Business Improvement District SRA are invited to attend the Annual General Meetings to be held on 15 November 2016 at 16:00 at the Conference Venue, Double Tree by Hilton Cape Town, Upper East Side, 31 Brickfield Road, Woodstock where the following items will be discussed. Resolutions presented at the AGM can only be voted on by bona fide members of the Salt River Business Improvement District NPC. This membership is available free of charge to all owners of commercial and industrial property within the Salt River Business Improvement District SRA, but they must be registered before 1 November 2016.